As the first place I visited outside the US when I was younger, Ireland has always has a special place in my heart. From its vibrant cities to its massively expansive countrysides that look like they’ve been built for a movie set, this European country is truly awe-inspiring. 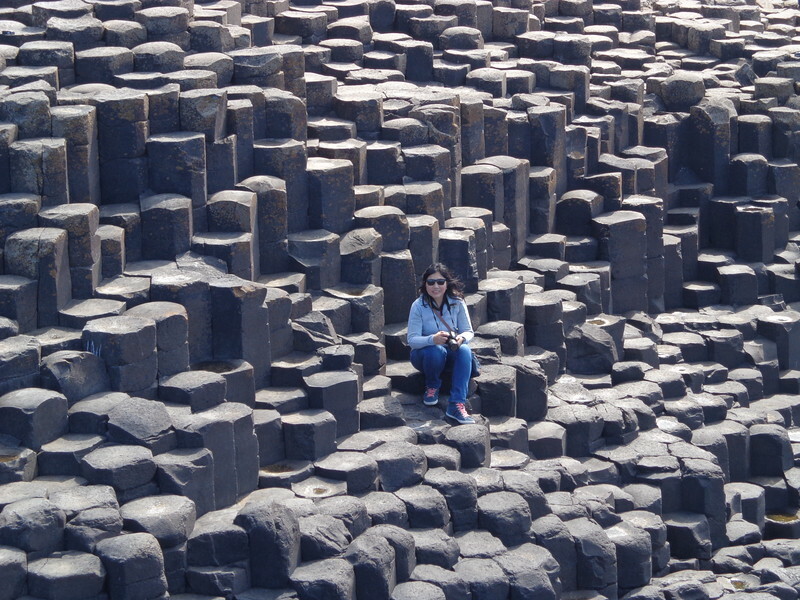 Today, Guest contributor, Lorna Real, is here to take us to one of the country’s most popular sites, the Giants Causeway. Ireland, a quaint country-island facing the Atlantic Ocean, has been a second home to my husband and me for over a decade now. We ventured here with the hope of greater opportunities and decent quality of life. What we like about Ireland in general is its relaxing atmosphere: the lush of greenery and the well-preserved heritage sites amidst the era of modernization. Whenever we can, my husband and I go on short trips to enjoy different wonders of nature the country has to offer. 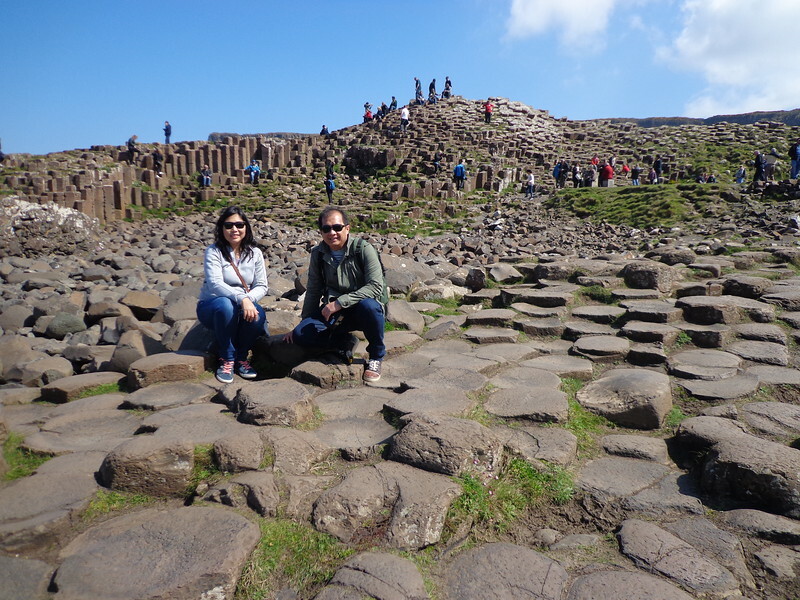 One of the highlights of our Irish adventures was our time exploring Giant’s Causeway. The setting really is very unique. This natural wonder lies along the sea coast of County Antrim, Northern Ireland (part of the United Kingdom). 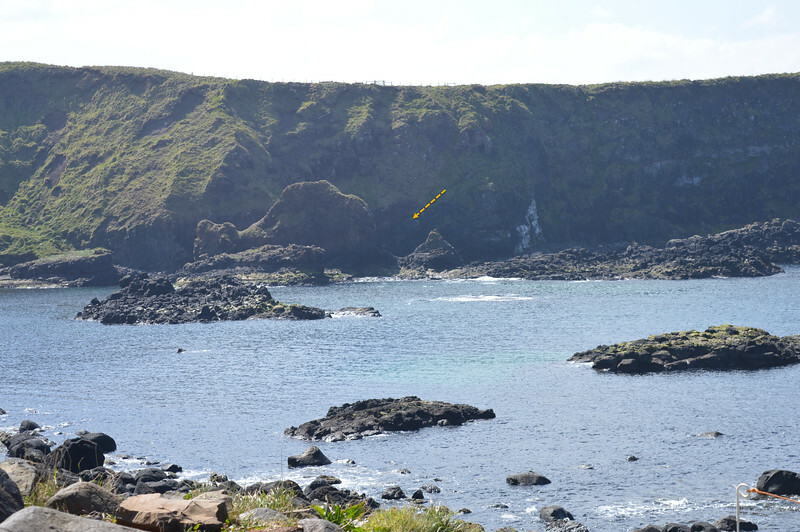 It is roughly 60 miles away from Belfast to Giants Causeway. 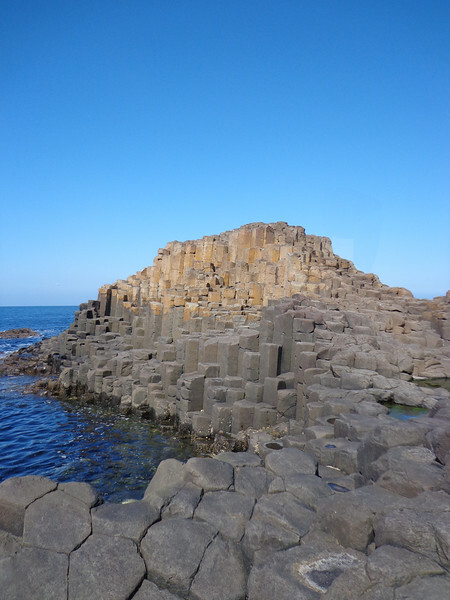 The area is known for its odd landscape, which includes towers of interlocking basalt columns that expand out to the shoreline. People often say this place is a giant’s honeycomb. 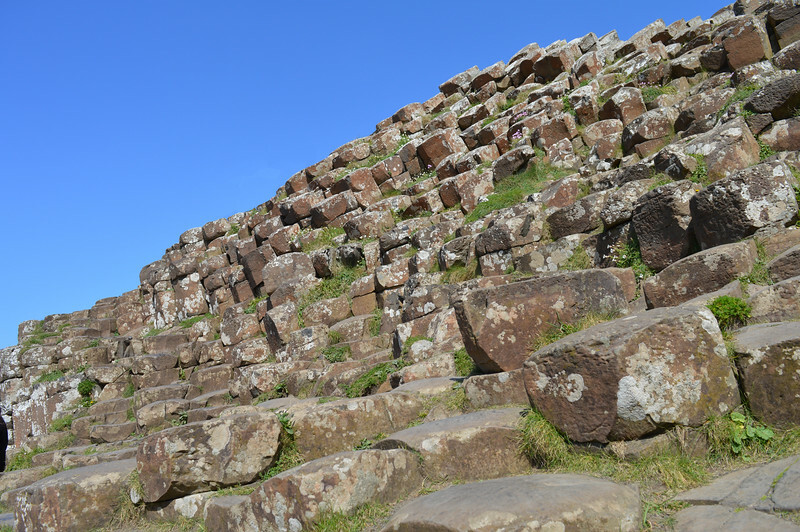 The Legend of the Giant’s Causeway says that an Irish giant was determined to defeat his most fierce enemy, another giant from the Scottish Isle of Staffa. The Irish giant did not want to get his feet wet so he built the causeway across the sea to Scotland, where he summoned his enemy for a fight. When he realized that his Scottish counterpart was much bigger than he expected, the Irish giant retracted quickly and made his way home disguised as a baby tucked in a cradle. If you look closely, you can make out what is called The Camel’s Hump. Legend says that the camel was used by the Irish giant to ride across long distances. Not one to back down from a challenge, the Scottish giant followed him to Ireland. But, when he saw the size of the ‘baby’, he got frightened that the baby’s father must be a giant among the giants. He turned-tail and ran away back to Scotland, destroying the causeway behind him. While the legend sounds amusing, the Giant’s Causeway itself is really astonishing! 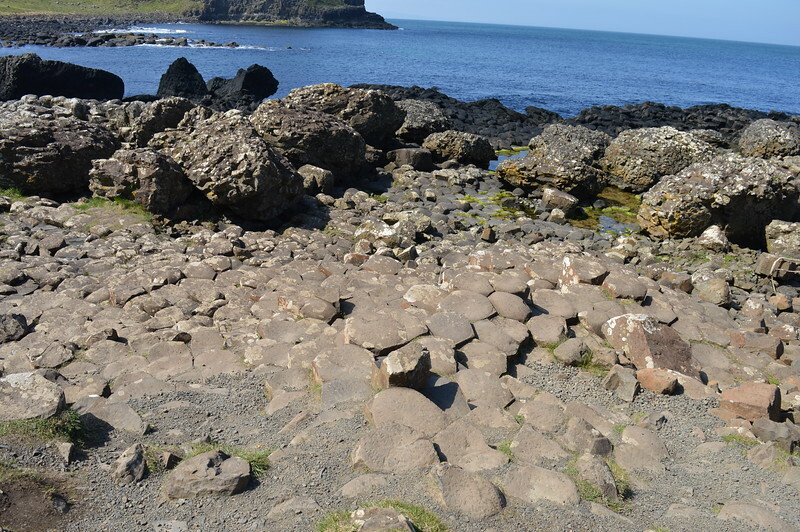 Resulting from a volcanic eruption 60 million years ago, the Giant’s Causeway has about 40,000 gently inclined interlocking formations made of basalt (volcanic rocks or solidified lava) sticking out of the sea. Most of the rocks are seven, six or five-sided, while some are four or eight-sided. The columns are tucked together so neatly that it is impossible to insert a stick between them. Want to stay for a longer look? Check out these hotels near Giant’s Causeway. It is perplexing to think that massive volcanic eruptions could result into something symmetrical and perfectly-spaced patterns. Geologists explain this process as columnar jointing where columns form out of rock (most commonly volcanic rock), creating a hexagonal shape as the rock cools and contracts. 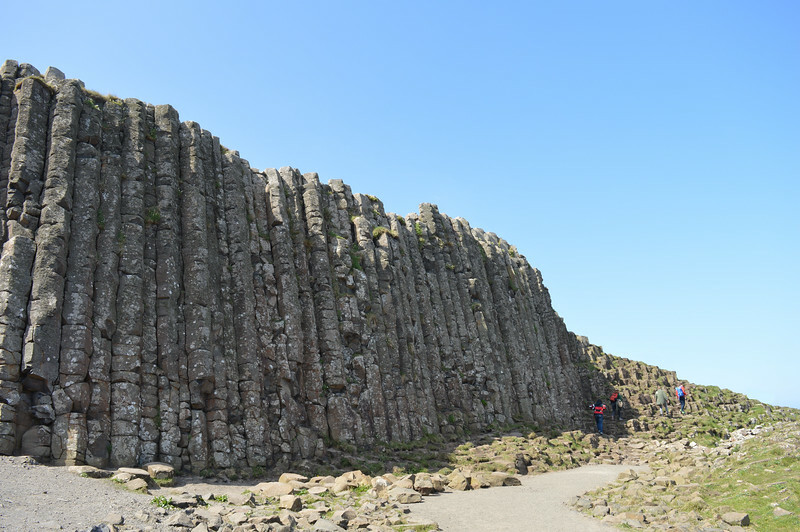 In the case of the Giant’s Causeway, when lava flowed out to the sea, the basalt cooled rapidly from the outside toward the center, causing shrinkage cracks to form, breaking up the columns in the process. Make sure to stop by the Giant’s Causeway Visitor Experience Center before you explore the area. It’s about half a mile walk down to the Giant’s Causeway from the Visitor Center, following along steep slopes and gravel paths. But it’s not rigorous walk, you will be rewarded with stunning views and picture-postcard scenery along the way. If walking is not your cup of tea, there are shuttle buses plying the route for £1 (US$ 1.30). We opted to walk, stopped when we felt like it and explored at our own pace. Exploring around the landscape isn’t strenuous, but make sure to go slow and walk carefully! The stones are piled up so perfectly they look like the work of a skilled mason. The Giant’s Causeway is listed as a World Heritage Site by UNESCO. We’ve been wanting to see it and it did not fail to impress us. We spent two hours walking on columns and exploring the gorgeous Northern Ireland coastal waters. The basalt columns look like giant organ pipes. The chance to walk, climb and get up close the basalt columns makes the experience even worthwhile. It’s mind-boggling how these geological formations came into existence. Yet undoubtedly, there is magic in the causeway. A breath-taking masterpiece of nature! You can check on the official website to find out more. The columns start at the cliffs and slope down to the sea. The attraction involves walking, climbing over the rocks, getting close to the water’s edge, so wear your comfy walking shoes. We were lucky during our visit and got a glorious amount of sunshine. If you’re going during the cold season, just bundle up. The wind and the rain can make it extremely cold. As a National Park, it is free to visit. From the carpark, you make your way to the Giant’s Causeway. 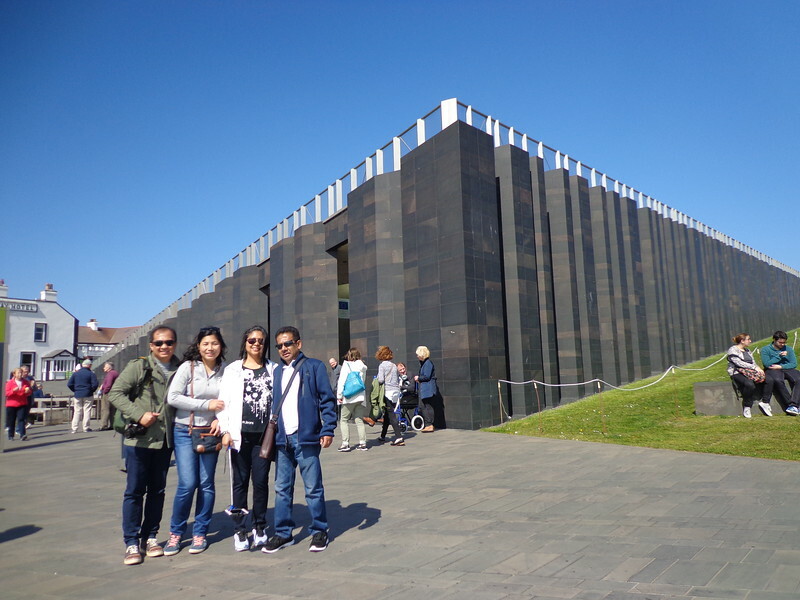 If you want to go to the Visitor Experience Center, the admission price is £9 (US$ 12). It’s possible to purchase your ticket in advance. The currency is Pound Sterling £, but Euros are also accepted. 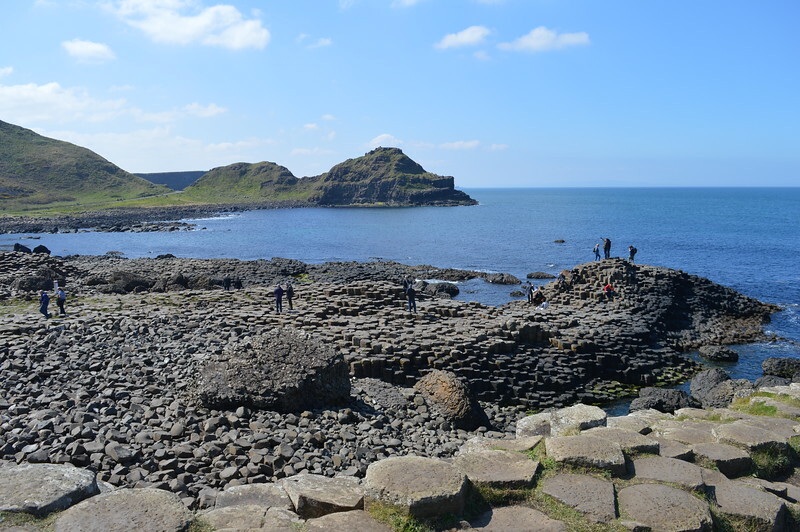 You’ll find an assortment of Giant’s Causeway tours leaving from Belfast or Dublin. We like the selections at Get Your Guide. I am a software engineer based in Ireland; a qualified accountant who made a 360-degree career shift to Information Technology during the Y2K era. Joey (my husband) and I have big appetites for travelling, learning new cultures, and a passion for experiencing varied cuisines. Follow us as we chronicle life's little perks!